Loneliness is a killer for older people. 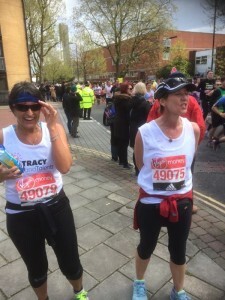 Support our runners, and make their lives worth living. We give over 300 older people a year friendship, support, and somewhere they belong. 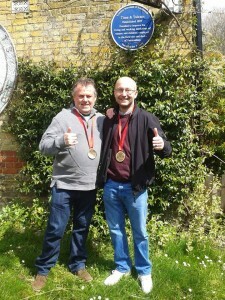 Since the very beginning of the London Marathon, Time & Talents has had ‘Golden Tickets’ offering guaranteed places in the race. Did you know loneliness makes you up to 30% more likely to die prematurely? And that there are over 2500 lonely older people in Southwark alone? T&T is a genuinely local charity – and we’ve been helping isolated older people for over 130 years. With your help, we can do much more. Our groups for older people always offer something out of the ordinary – from a mobile zoo, to a music hall visit, to a movie or a singalong, with lunch. They provide a way to feel independent and carefree, and give older people lots of much needed care and attention. Our Stroke club, Visually Impaired Group, Social Contact group, and strength and balance clubs offer specialist support for the people who most need our help – changing lives and helping them cope every single week. Fun and quirky T&T projects, from the Rotherhithe Shed, to a pub club for older men, to intergenerational reindeer sleigh rides and Cycling Without Age, or Crafty Beasts, mean that there’s always something new. This is vital for those who experience little joy, or fun, or newness in their lives because they are very isolated. 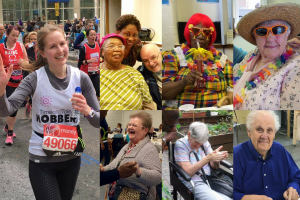 T&T is a small, well-loved local charity – we live and work right alongside the older people in our community, so you know that any funds you raise go directly to our work and make a huge difference to people at a grassroots level. A pit stop on marathon day, with people to cheer you on as you pass T&T! 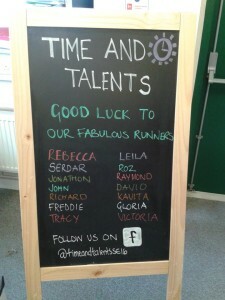 All you have to do to run for us is agree to raise at least £1500 in sponsorship for Time & Talents. This money really makes a difference in helping us to work with the communities here in Rotherhithe and Bermondsey, and every year our marathon runners are amongst our top fundraisers – and many have stayed dedicated friends of the charity for years. So come on, get on your sweatband and let’s start a montage! As ever, we’re relying on you to help us keep helping our community! A big thanks to ALL our Marathon Runners in 2016, 17 and 18 !!! 2016: Raymond and John stop by for a quick pic the day after. Not pictured: blisters! Thanks guys! 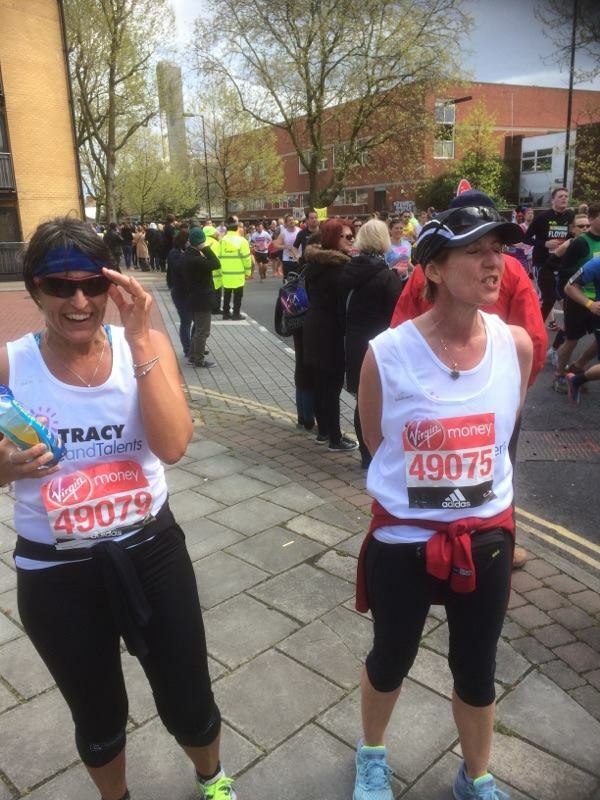 2016: Tracy and Roz stopping off at the half way mark – T&T, amazingly! Not pictured: steam coming off their heels…. Thanks guys! 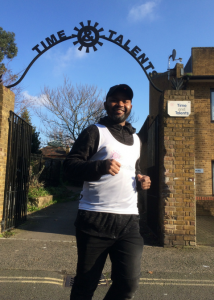 2018: T&T super volunteer Haji ran the marathon for us, as well as helping out in groups and being a Cycling without Age volunteer pilot!